FIRST is an acronym which stands for "For Inspiration and Recognition In Science and Technology". This organization was founded by Dean Kamen in 1989 to inspire kids to pursue a career in engineering. The first event was the FIRST Robotics Competition (FRC), which is intended to motivate high school students to become engineers by giving them real world knowledge on developing a robot. The initial FIRST Robotics Competition was held in 1992. 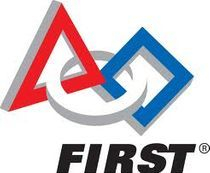 The FIRST Robotics Competition is the debut competition held by FIRST. Since 2006, 2,000 high school teams, consuming over 28,000 students all over the world from the United States to the Middle East competed to build 100-130 pound robots that can complete a certain task, which varies every year during kick off. From there teams and their mentors are given a customary set of parts and the game details at the beginning of January and are given six weeks to assemble a viable robot that could accomplish the game's task. As March gets closer there are several competitions in which they try to qualify for the FIRST Robotics Championship. The objectives in place for FIRST Robotics are to inspire kids of all ages to see the world of engineering from a different prospective. FIRST does this by using various levels of competition using robotic parts and showing students how using their math and science skills will enable them to achieve something far greater tan they could ever imagine. Using team work, science, math, and leadership skills students will work together in order to complete a given task. US FIRST helps students to build leadership skills as well as those in business with the creation of various awards for all aspects of life and the “work” world. Students will learn exactly what it takes to become a leader, a business man/woman, a programmer, and an engineer.